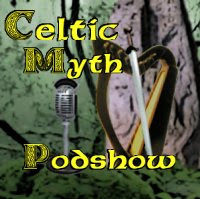 Listen to "Fires of Belenus"
A chapter from my novel "Fires of Belenus" was selected and read on the British internet program the "Celtic Myth Pod Show". The show is done live from, Eastbourne by the Sea. The reading is done by Gary Colcombe, moderator of the show. Gary is known for bringing Celtic tales and myths to your fireside in the finest bardic tradition. As story tellers go, there is none better. The story appears in Summer Special part II and it is the second feature in the program. The narration has been enhanced with sound effects and music, a truly professional job. Just click on the link below to the pod shows site. The show is available in every format available. Once you on the site it will lead you to the program.